For resolving numerous health issues, using natural remedies is by far better than resorting to OTC medications. This is where natural essential oils are very useful. Made from various plants, leaf and flower extracts, these oils contain proven antibacterial and antimicrobial properties which make them potent solutions to treat various types of ailments. Tea tree oil is one popular and powerful essential oil used worldwide to treat numerous health conditions in humans. This essential oil is derived from “Melaleuca alternifolia,” or tea tree plant. It is natively grown in Australia but now the harvest has spread to other parts of the world as well. This natural substance contains as many as 48 natural compounds. It cannot be reproduced and using natural extract is the only way to procure it. Its healing and antibacterial properties make it a must have for any household. Good for battling skin infections- This oil can be used to battle a variety of skin disorders including acne and ringworm. Ideal to fight scalp and hair problems including dandruff and flaky scalp- Its proven anti-fungal and antibacterial property is effective in reducing dandruff and scalp flakes. Application of this oil with other natural oils can reduce scalp itching as well. 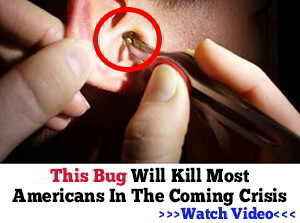 Proven relief in insect bites- Its antibacterial property helps mitigate the sting and pain caused by poisonous insects. Good for treating throat problems- Mixing a few drops of this oil with warm water and honey is ideal to soothe sore throat. Nice for keeping pests out of household- Using tea tree oil to keep household free of pests and insects is a nice idea. You can mix this oil in water and spray in the rooms to ensure various crawling and flying insects stay away from your household. While you can find tea tree oil being sold in chemist shops and other stores by various brands, you can also make this essential oil at home. This way you can be assured of not getting any chemical or preservative substance in the solution. 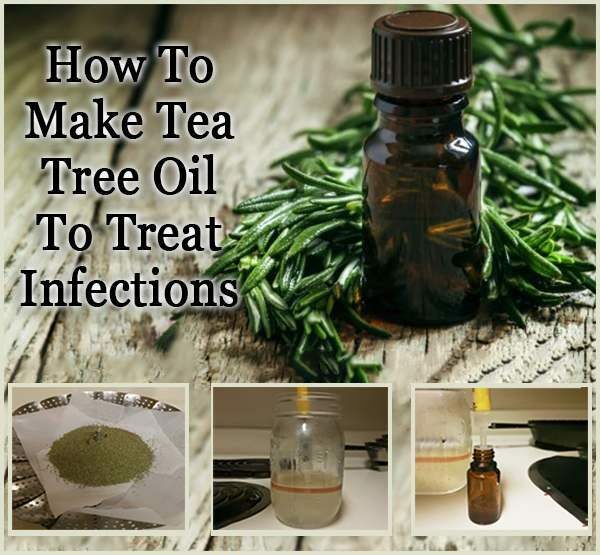 Besides, preparing tea tree oil at home is not very difficult as you may think. You don’t have to spend a whopping amount of money or spend a long time in preparing it either. There are basically two methods to make tea tree oil at home- regular pot boiling and using a crock pot. Making tea tree oil at home is simple as can be. Begin with collecting tea tree leaves that will be used and clean well. This will eliminate the chance of dirt or dust getting mixed into the oil. Then, put the clean leaves in a regular pot(or place the leaves in a vegetable steamer) and pour some water to get them merged. After this, you need to put a lid over the tea tree leaves. So, the leaves will be covered by a flat surface atop. Now, you need to keep the lid of the pot upside down on the pot. This will ensure the handle is down facing downwards and is placed over top of the measuring cup or mason jar. Now, start boiling the water on full heat. Soon, the tea tree leaves will get steamed well. Soon after, the water will start evaporating and get condensed on the lid kept in upside down position. 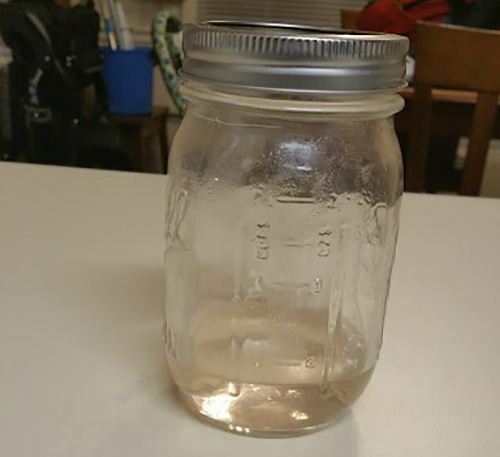 Thereafter, it will glide and drip into the measuring cup or mason jar slowly. You can place a few ice cubes on top of the lip and this will actually speed up the process. 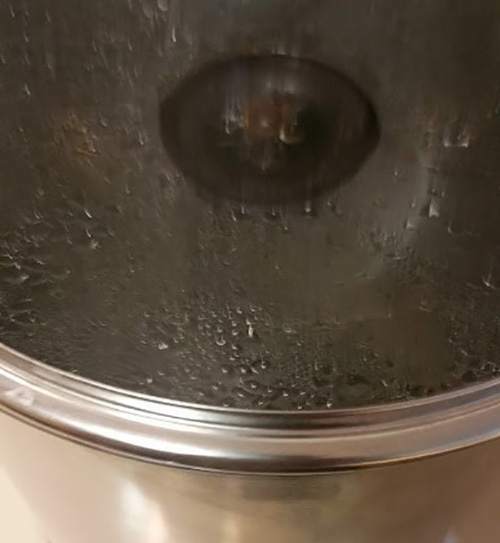 You can put the burner off after the ice has melted completely on top of that lid. Then, you have to remove the lid using cloth or pot holders. Drain the melted water into the sink and put the lid there too. Next, you need to remove the glass measuring cup or mason jar using pot holders from the pot. Pour the liquid collected in the measuring cup or mason jar into a separating funnel after ensuring the stopcock at the funnel’s bottom is closed. Now, close the funnel’s top well and shake for a few seconds well. Then, turn the funnel upside down and open top. This will release any built-up pressure. After this, you will be able to see a layer of oil floating on top of the liquid. Now, keep a glass vial beneath the funnel and release the water by pressing the stopcock. 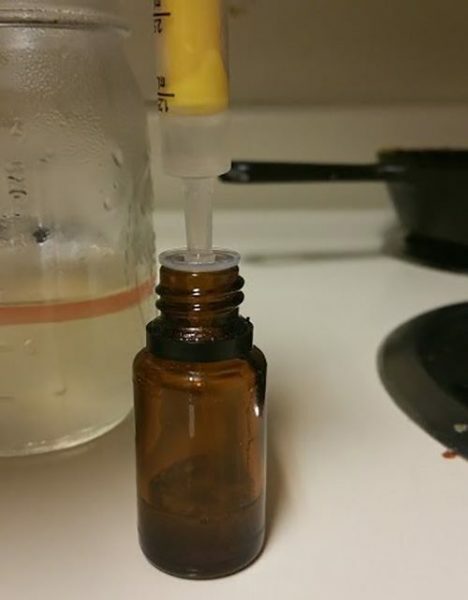 Make sure that you keep the oil in a different vial. 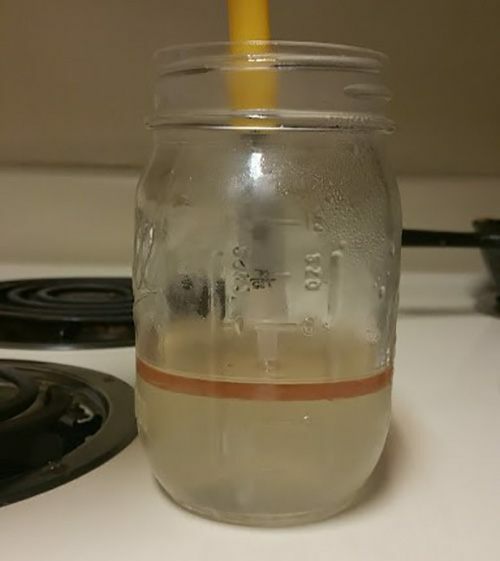 If you don’t have a separating funnel place the measuring cup or mason jar in the fridge for 24 hours after it has cooled. Once the liquids have cooled you should be able to see a layer of oil floating on top of the liquid. After the water and oil have separated you need a syringe to extract the oil from the cup or jar. After extraction place the oil in a separate container or storage. These steps can be repeated to obtain tea tree oil later as well. 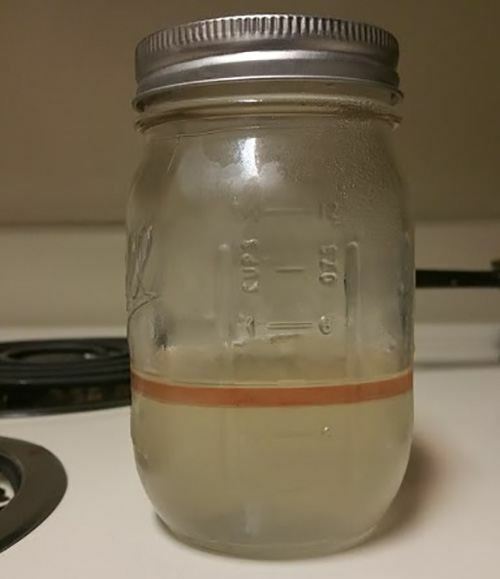 After you collect the oil, store it in an airtight jar. That way it can be stored and used for a long time. Ensure you store it in a dry and cool area, away from direct sunlight. You can also prepare tea tree essential oil using a crockpot at home. Use the below listed steps for this. You will need to take required amounts of chopped tea tree leaves and wash them well. Place the washed leaves in a crock pot next. Fill the pot with water to make the leaves merged. Put the lid on the pot and ensure it is upside down. This will ensure the evaporating water will drip back eventually in the pot. The inverted lid should be above the water level. Cook the leaves on high flame and once water boils start simmering. Do this for a few hours and then let the crock pot cool. Then, you need to put the cooled crockpot in the fridge and let the essential oil accumulate on water surface. Scoop off the surface oil with care and store it in a clean and dry glass jar. Store the oil in a cool and dry location. Preparing tea tree oil at home is not tedious as such. You have to practice cautions while preparing and handling it though. Make sure raw tea tree oil does not get in touch with your skin or else it could lead to burning feeling. It should be handled with care. How can I find out the chemical names of the substances in your natural remedies, such as tea tree oil? I take an MAOI anti-depressant with over 430 SERIOUS drug interactions, as well as many more less serious drug and food interactions. I really need to be able to check for drug interactions before I dare try using these remedies. I would like to know where to get the leaves to. Will this work for rosemary, lavender, thyme, lemon balm and others that are more likely to be in our gardens? yes, one can pretty much make essential oil(s) from any plant if desired , make sure though, to know how to dilute again before use! For what you will spend on leaves, and you time invested, I would respectfully suggest you instead do your due diligence and obtain pure oils from a respected essential oil company. No, I will not recommend a specific company. I was formerly a rep for an EO company. There are many reputable firms out there who assure the quality of their oils as well as sustainably sourcing them. Distilling essential oils is not as easy as it seems, there are different methods for different substances, and assuring purity and concentration of home made oils is difficult at best, risky at worst. Essential oils are a wonderful addition to a home medical kit, but always use them with caution, with research done, and preferably under the supervision of a naturopath or certified practitioner. Thank you for this good recommendation. I, too, am a grandma prepping with son and family. Mostly we are focused on freeze-drying, at the moment. If the oil shouldn’t come in contact with skin, how does one use it to heal sores, etc.? I have practiced aromatherapy for 20 years and have been steam distilling my own plants for the past 4 years. This method will really just result in hydrosol. That amount of herb is not going to produce enough EO to really make the effort worth it. Also I question what type of tea tree herb you are using because tea tree (melaleuca alternifolia) EO is not orange colored. Tea tree is an inexpensive oil, I would just recommend buying it. That way you know you will have a good quality product that will perform how you expect it to. There are a lot of good companies out there that are not MLM companies. This method does work if small batches of hydrosol are your aim. I did it this way about 15 years ago to make a small batch of rose water. Are there other Teas that have the same potency as this tea leaf tree/plant? I don’t think this plant is to indigenous to Texas. The idea of self-sufficiency is to find herbs and other plants in our native areas where we reside. At least that is my view which is open to corrections. When I find an interesting plant, my first thought is can I grow it. If so, then having it in my garden is the best way to have it available.. It is! I have almost 3 3ring binders and it is getting to much.